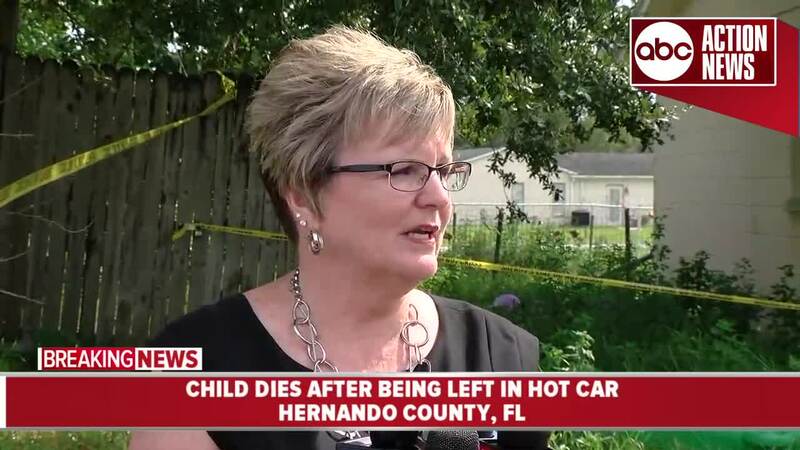 HERNANDO COUNTY, Fla. — An infant boy died on Friday after being left in a hot car Hernando County, officials say. Investigators say that Keyton had been in the care of his mother, Cami Lee Moyer, 38, since Thursday night. 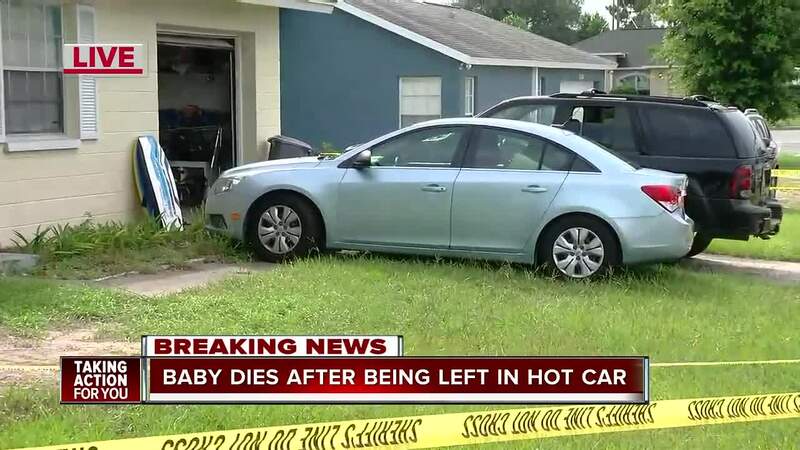 HCSO says that the infant's father, Eric O'Callaghan, 32, came home and found Keyton in the vehicle parked on the driveway in front of the home. Deputies say O'Callaghan took the infant inside where he began performing CPR on the child while he was on the phone with 911. 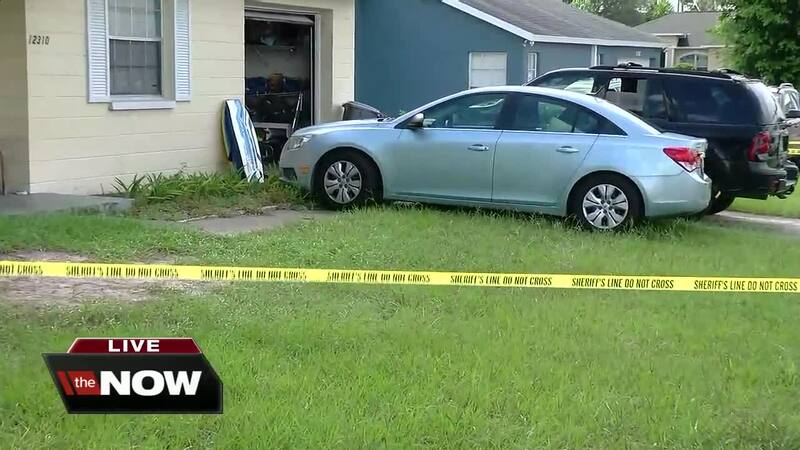 He continued to perform CPR until fire rescue arrived and took over. Moyer called her child a "miracle baby" on a GoFundMe page she created last year. 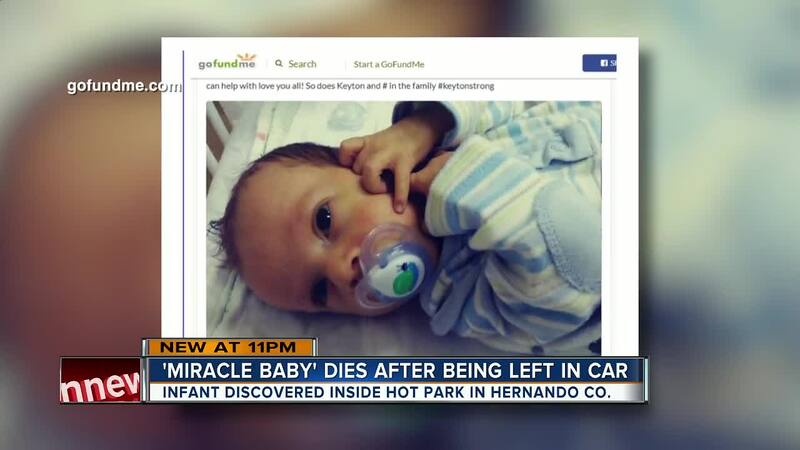 It states Keyton beat the odds, given only a 20% chance to survive after contracting a virus in the NICU. Just a few months later, the baby that, according to family, beat the odds, died from a tragedy law enforcement calls preventable. The official temperature in nearby Brooksville was recorded at 86 with a feels-like temperature of 97 in the 11 a.m. hour on Friday.